Waking up to find it has snowed overnight is always a fun moment for a child. Waking up to snow and being told school is closed for the day is even better! I have to confess that I’m just as much of a big kid when it comes to the snow. I love getting out and having fun with the children. 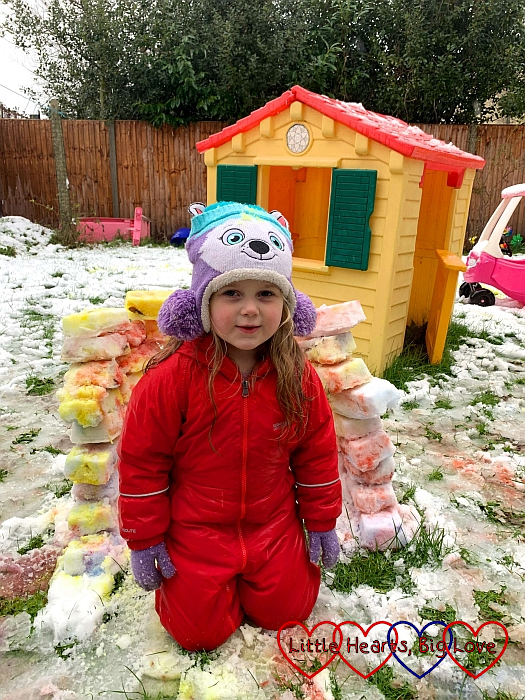 Last year, Sophie had a lot of fun doing snow painting and building a mini igloo. We decided to combine the two and build a colourful igloo. We mixed food colouring and water in squeezy bottles ready to use for snow painting. 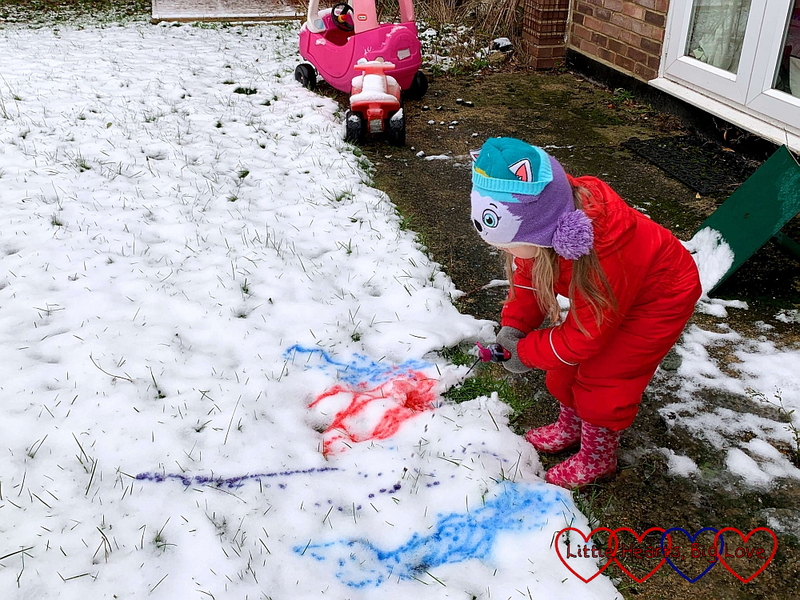 Sophie loved squirting the coloured water on the snow and making patterns with the different colours. 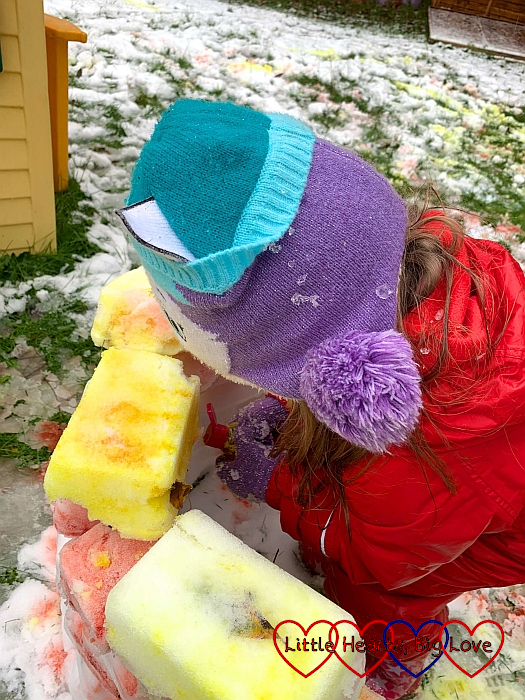 We used small plastic food tubs to make the snow bricks for our igloo. I wasn’t sure we’d be able to colour enough snow to make all the snow bricks coloured ones. Instead, Sophie used the coloured snow to make her bricks and I used normal snow for mine. 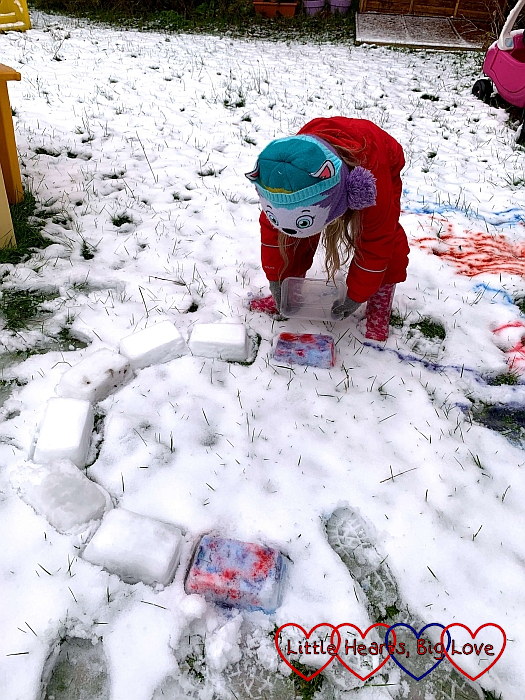 We arranged the bricks in a semi-circle shape with the coloured snow bricks at the front and the plain ones at the back. 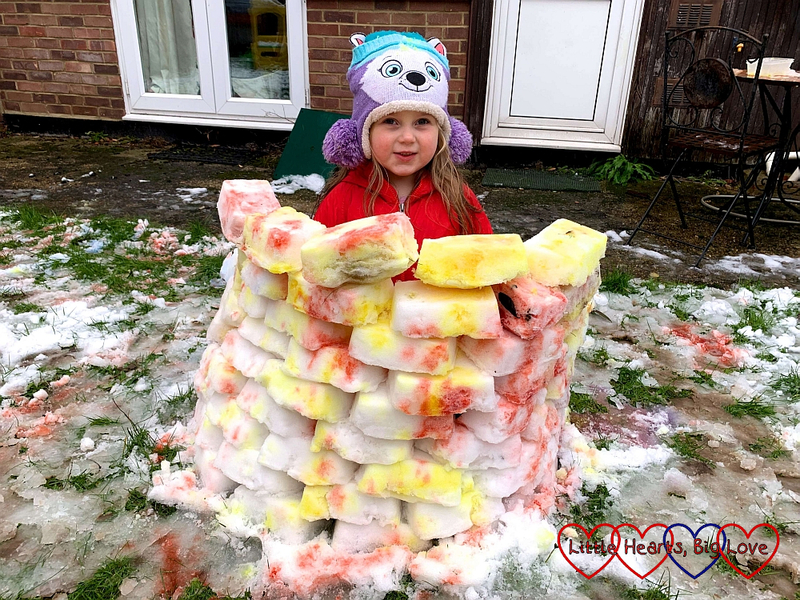 Every so often, we would stop building the igloo to go and paint some more snow or to throw some snowballs! 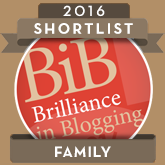 Our snow brick placement was a little haphazard at times. 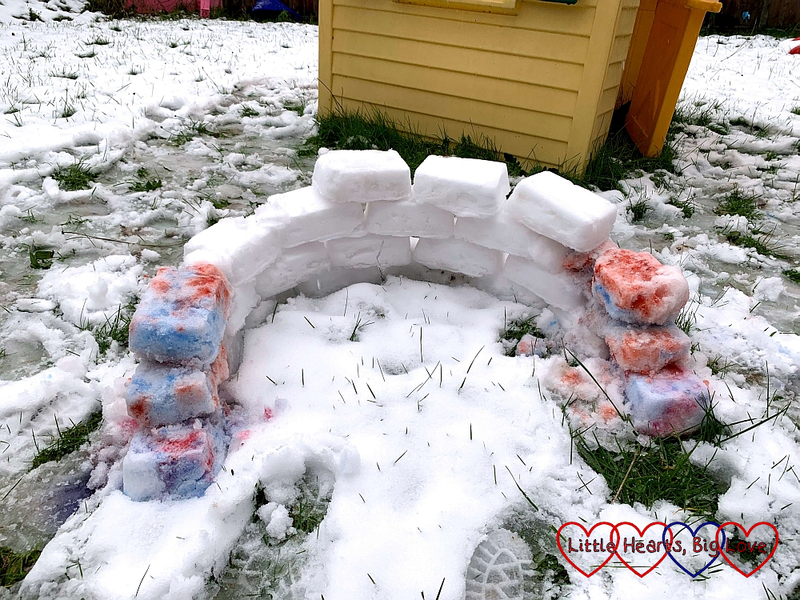 By the time we reached the ninth layer of bricks on our igloo, it was starting to look a little precarious. I suspected that the next layer would be one too many so we decided to stop there. 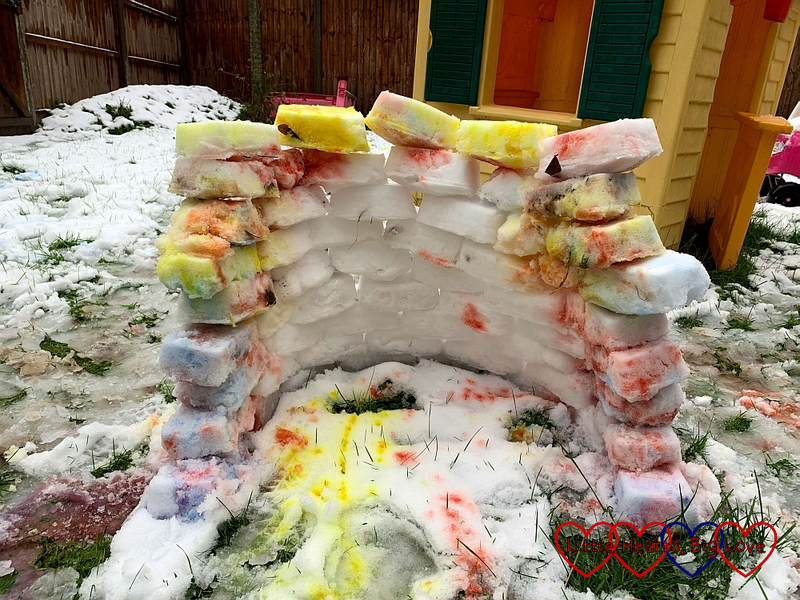 We still had some coloured water left so Sophie used it to paint directly on to the snow bricks in her igloo. She was very happy with the end result! The colours did fade as the snow started to melt but the wall held up surprisingly well. 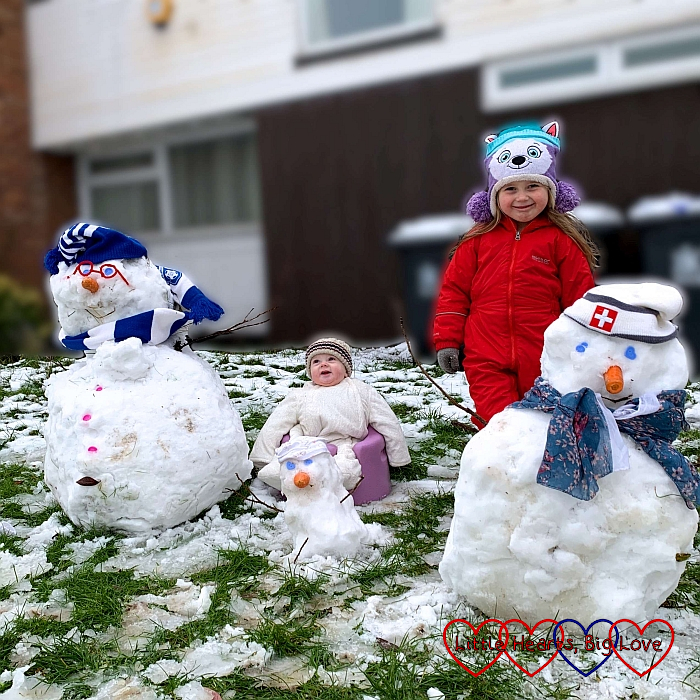 We also built a family of three snowmen in the garden. Thomas was quite happy sitting in the Bumbo watching us build the snowmen. 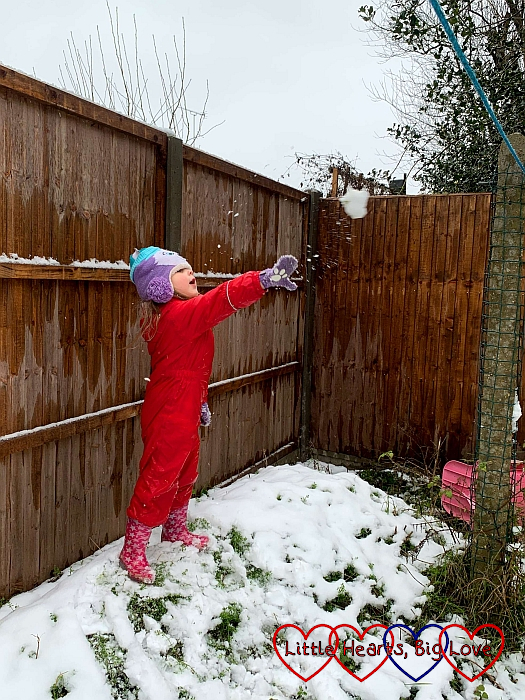 It was lovely to have time together playing in the snow and to be able to make the most of having a snow day. 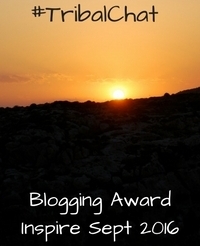 Oh this is so clever! I never would have thought to colour in a snow creation. 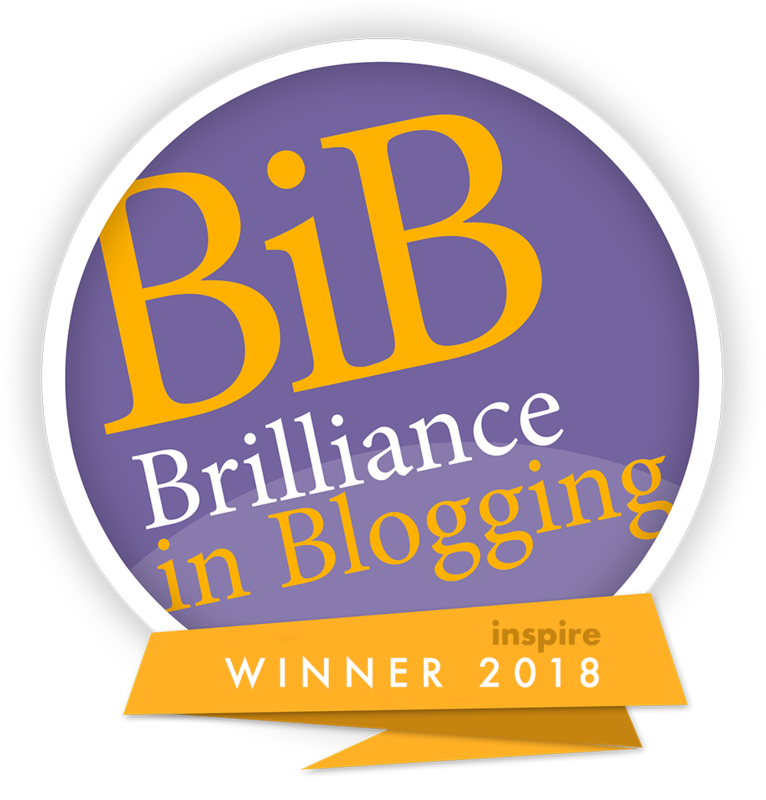 Well done Sophie! 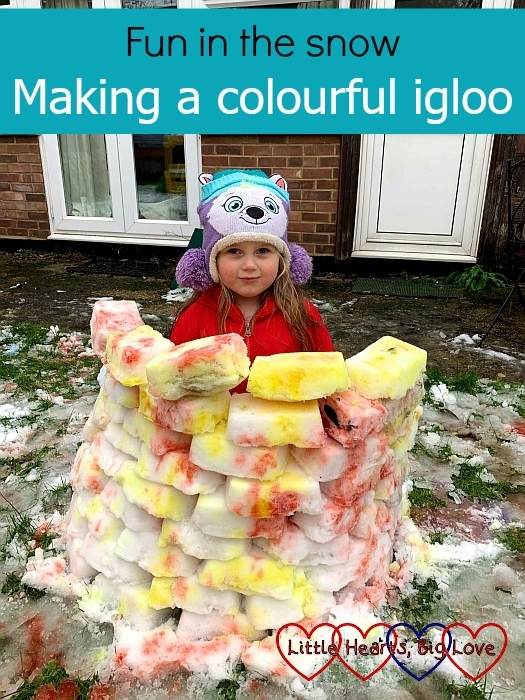 I’d never have thought of using colour with snow but what a wonderful idea! 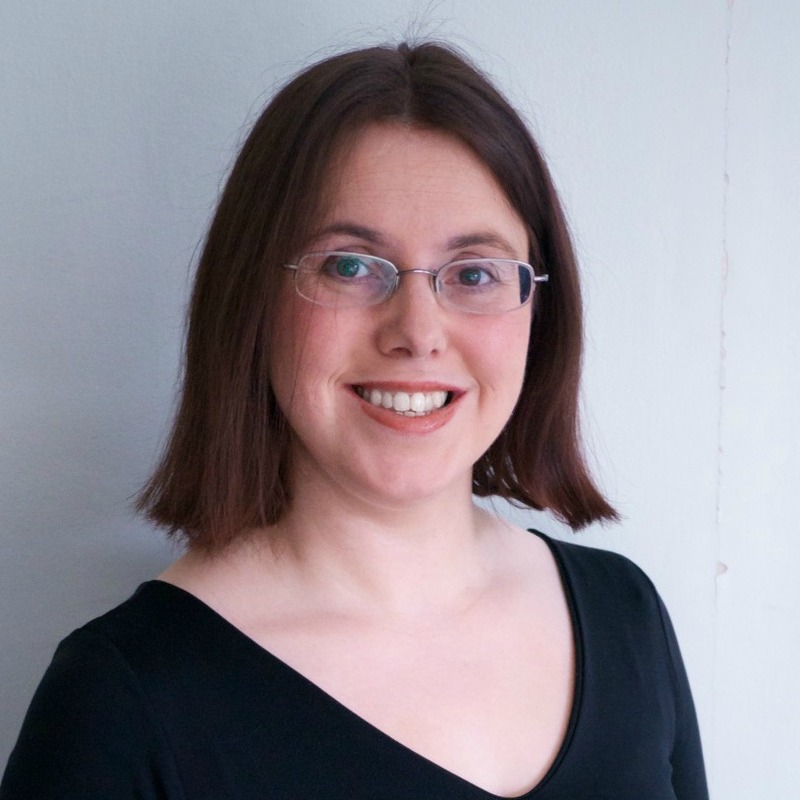 Sophie looks so happy. I’m like you, and my gang are liker her – so excited at the slightest bit of snow!